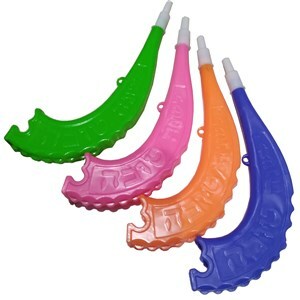 Strong plastic toy shofar that emits a sound when blown. Suitable for children of all ages. Colors are red, blue, green, yellow or orange. no white.